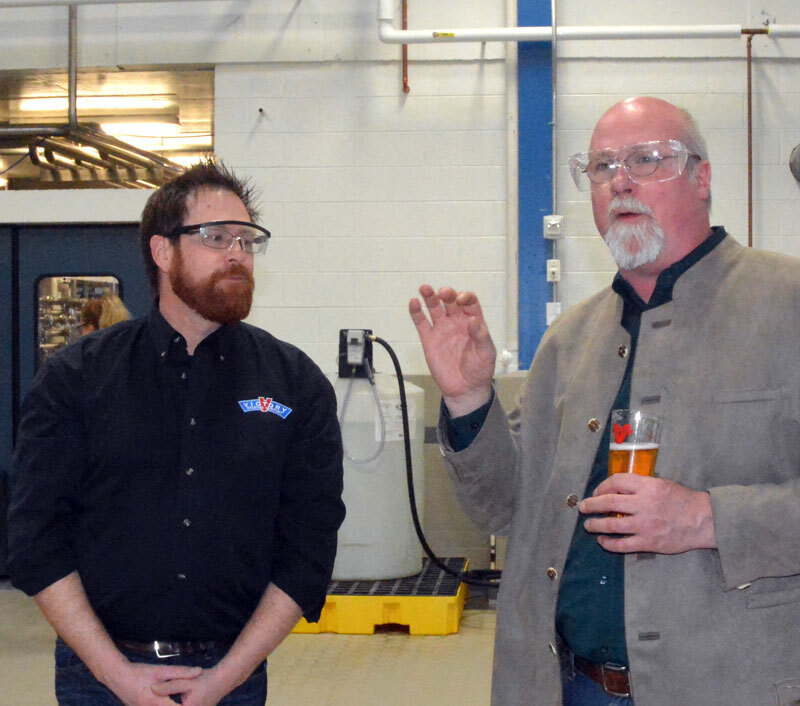 Victory Brewing Company founders (left) Bill Covaleski and (right) Ron Barchet talk yeast during a tour of the company’s new brewery in West Sadsbury — a facility that will allow the Chester County brewing company to grow, and provide jobs and tax revenue to the local community. WEST SADSBURY — To say that something exciting and new is brewing in the township might be a bit obvious, but as Victory Brewing offered a sneak peek at its new Parkesburg brewing facility, Thursday, it’s clear that the Chester County company is poised for growth — growth that could help the local community and school district. Victory is already sold in most of the U.S. — 34 states as of later this spring — and even a handful of international markets, but without the capacity to keep up with demand, the company’s steady growth over the last 18 years could have come to a standstill. But doing it right — and keeping to the principals that have made the Downingtown-based brewer treasured by both beer lovers and those who value the open spaces and clear waters of Chester County — meant finding the right place and the right water. 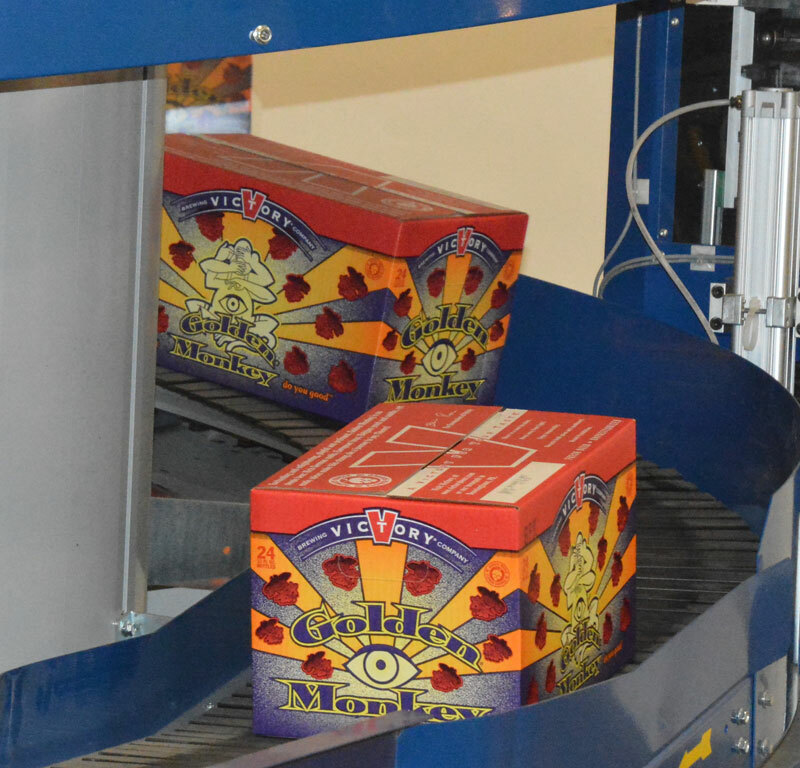 Cases of Victory Brewing’s Golden Monkey come off the state-of-the-art production line at the new brewery facility in West Sadsbury. 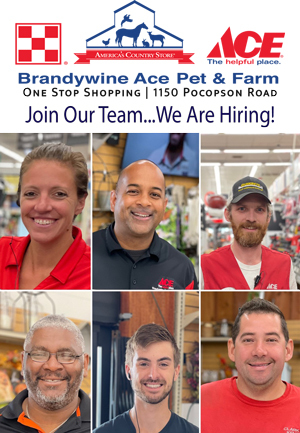 Having brewed for the past 18 years using the water of the East Branch of the Brandywine, when looking for a new location, Victory founders Bill Covaleski and Ron Barchet, were hoping to find something similar in the new location. 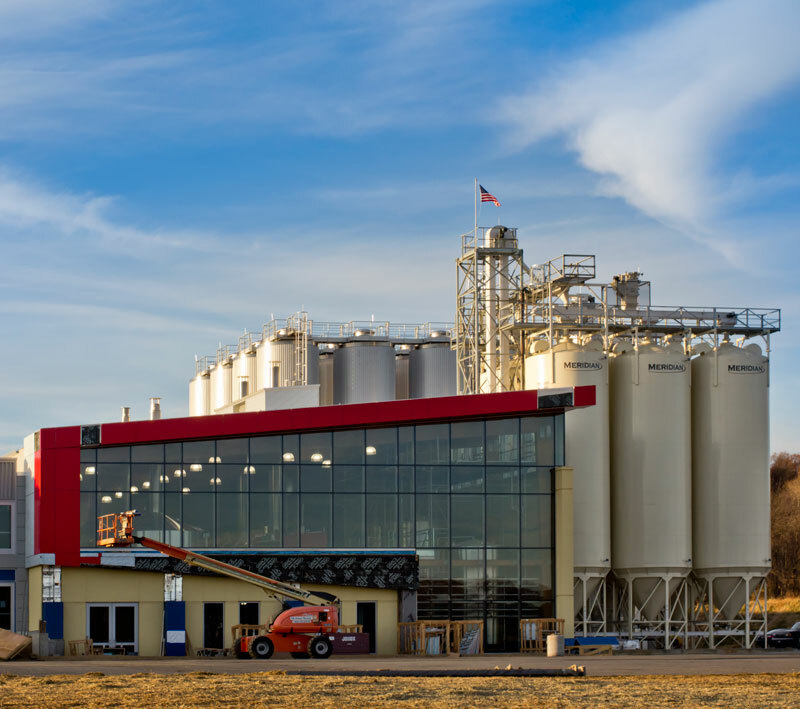 They also needed a location that could handle the amount of wastewater a brewery produces and a local community that would welcome such an operation. In the new location, just a few hundred yards from the Parkesburg border, all of the check boxes were ticked in quick order. First — and maybe foremost — the water: coming from West Branch of the Brandywine, it offered a virtually identical composition to the water being used in Downingtown, meaning it wouldn’t be complicated to duplicate the taste of the various beers. The township had a water system capable of handling the brewery’s waste water — and almost as importantly, worked with the company to streamline the development process, which converted an older building on Lower Valley Road into a new use. 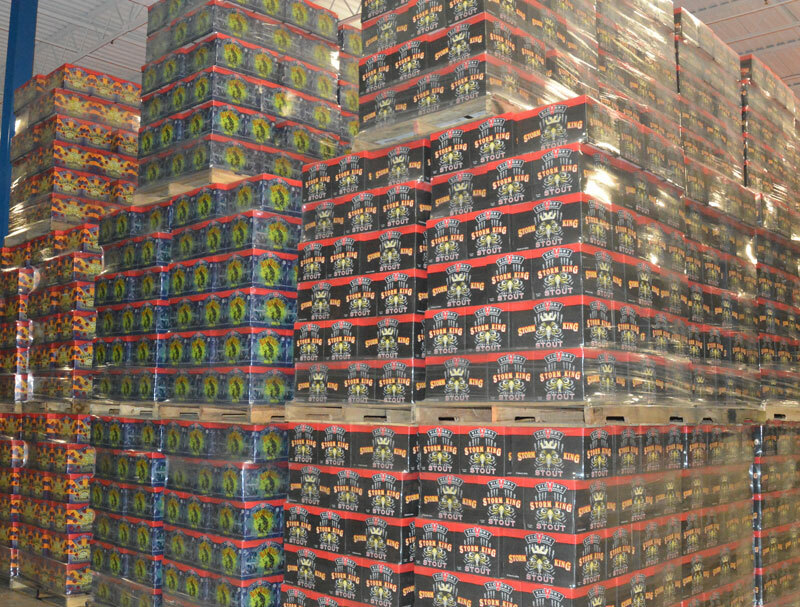 Pallets of Victory beers await shipping to locations around the country and even select international markets. Barchet said that West Sadsbury officials didn’t cut corners on rules or offer tax subsidies, but did lay out the expectations and make sure the development process went smoothly and fairly rapidly. They made it clear that they wanted Victory in town, Barchet said. That meant a quick process to go from meeting to discuss concepts with township officials, to the nearly complete and largely operational building, which happened in less than two years — a very short time period. That means smaller speciality brews will be created there and kegged — sold at the Downingtown brewpub (and ultimately the Kennett brewpub, slated to open later this year, and the eventual Parkesburg brewpub, likely to be in operation in early 2015). Those that end up being popular can then move to Parkesburg for bottling. Two immediate examples: Mad King Weiss and Swing Session Saison, which previously had only been available on draft, will now be bottled for a limited time. Covaleski said to expect more draft-only beers to move to bottling in this manner as more input comes from the brewpubs and other locations where Victory is served on draft. The stylish new Victory brewery in West Sadsbury allowed business to partner with the local community to allow for cost-effective and efficient business development. The impact on the local economy, of course, is just as large. The new facility had led to the hiring of some 40 full-time workers, Barchet said, with more likely in the future, especially when the brewpub opens. And of course, the property adds to the tax base for Chester County, West Sadsbury and the Octorara School District, all in an area where ratables are deeply in need.